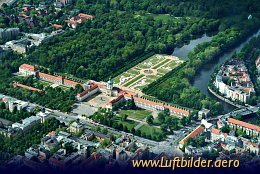 Charlottenburg Castle - Berlins largest castle - was build stepwise. The main building was built between 1695 and 1699. It was planned as summer residence for Sophie Charlotte, Friedrich III wife.